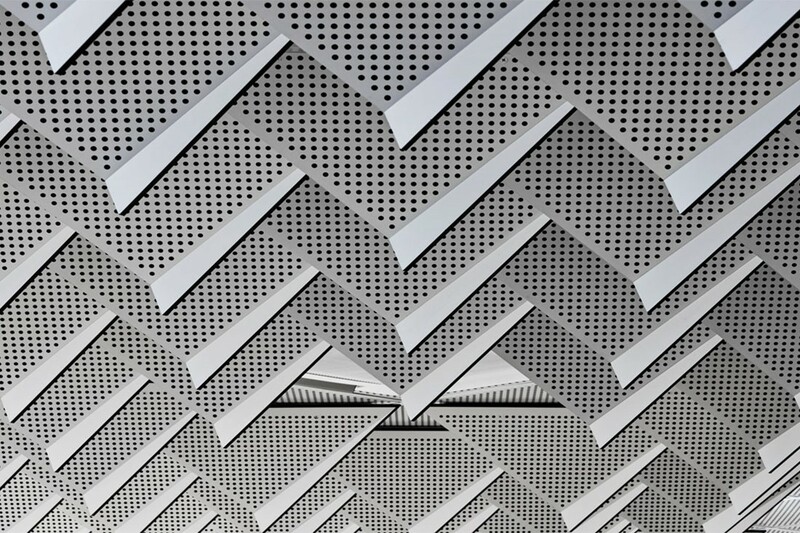 There is a lot that can be learnt from architecture books, but even more so from architecture itself. 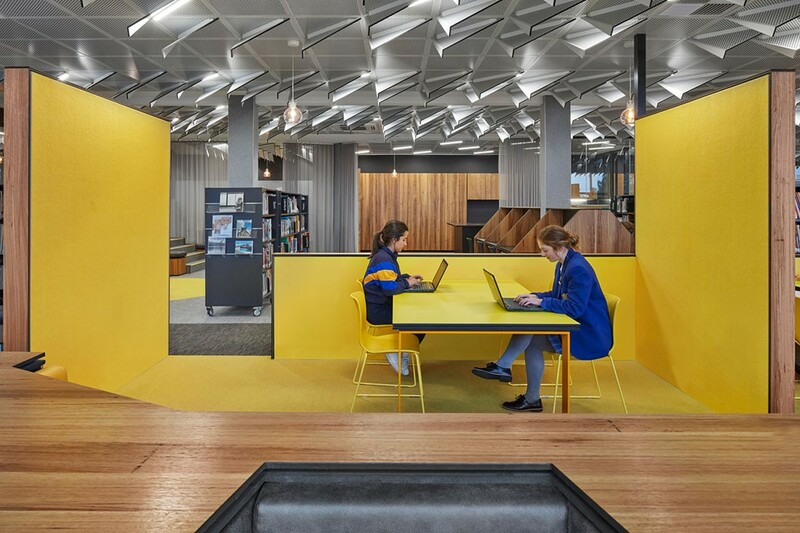 Quaine Library, designed by Branch Studio Architects, introduces students to architectural thinking, whether they know it or not. 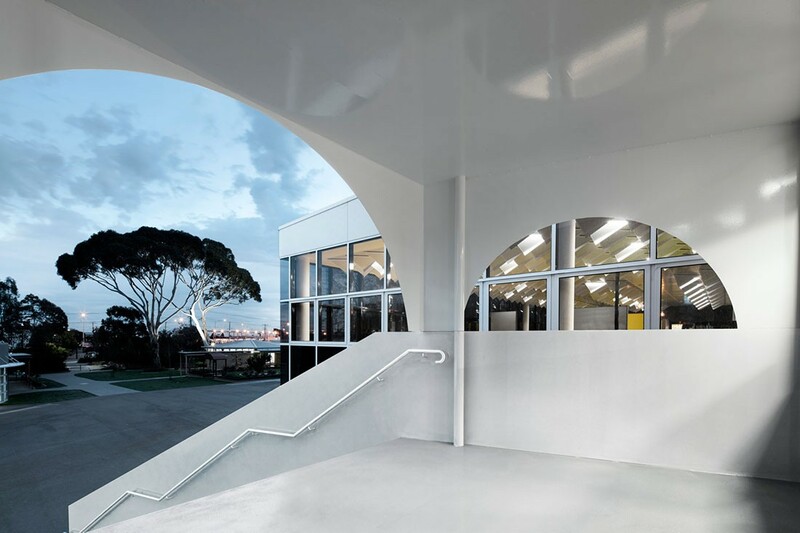 For Melbourne-based practice Branch Studio Architects, education projects are not only a chance to improve school facilities and environments, but an opportunity to introduce students to architectural thinking – whether they know it or not. 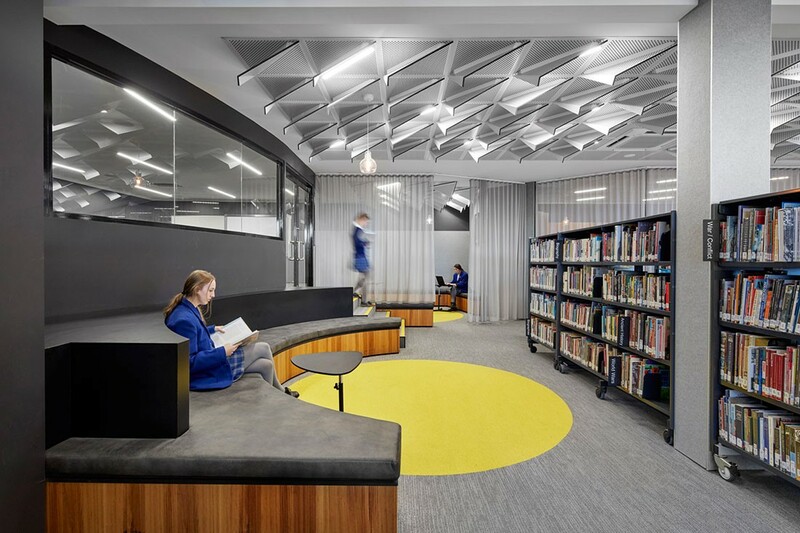 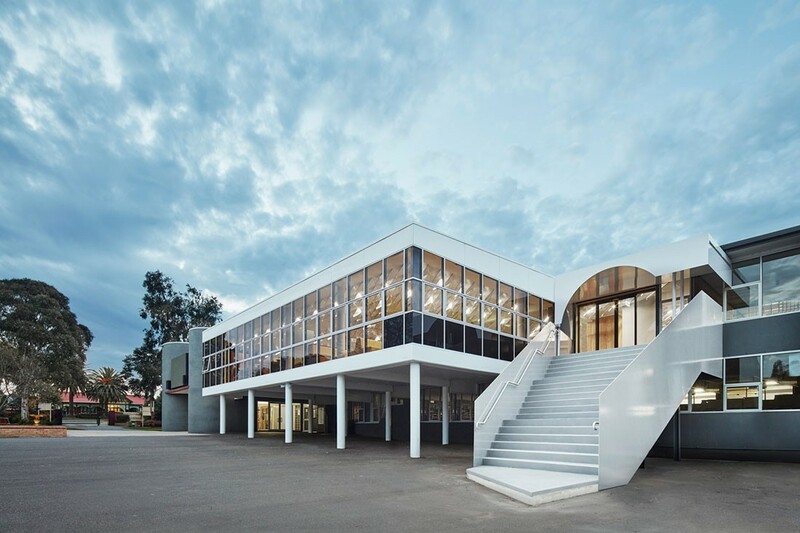 Branch Studio has recently completed Quaine Library at St Monica’s College and the refresh and redesign of the building has restored the 1960s modernist-inspired box to its former glory while creating a functional and accessible library with a ceiling that serves a decorative, pragmatic and acoustic purpose. 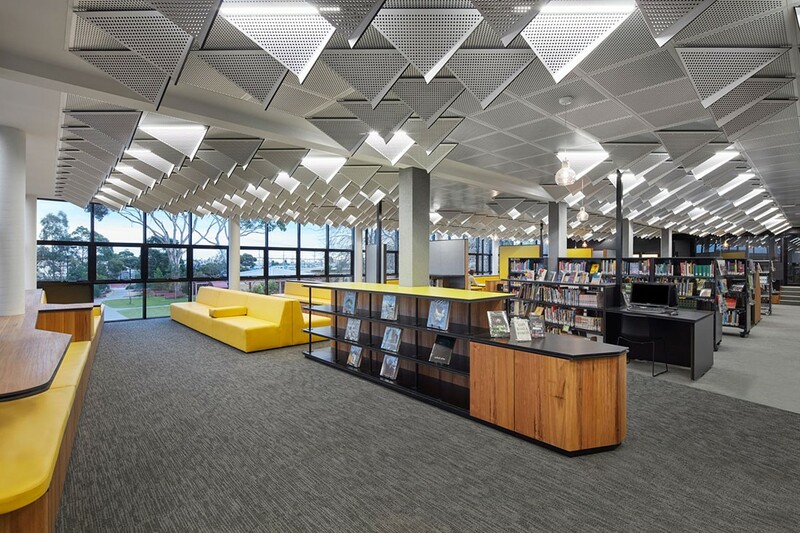 As a large open box, Quaine Library was acoustically challenged, unconducive to multiple library functions and had no sense of zones. 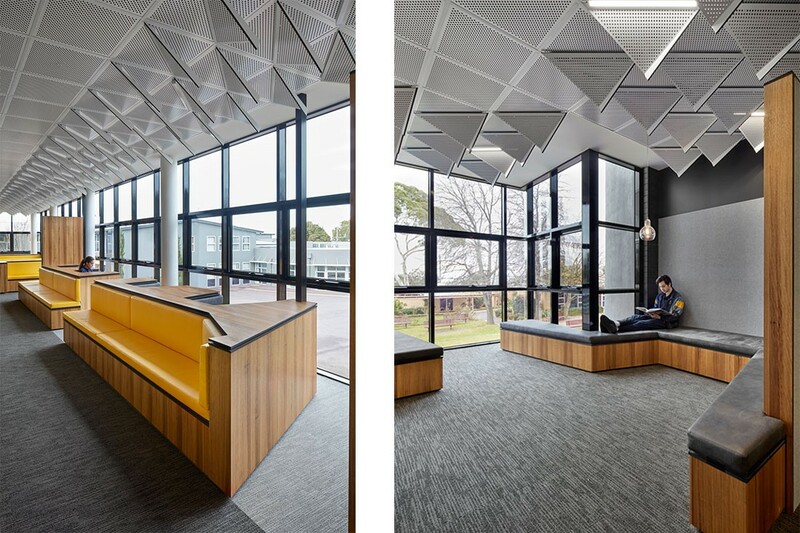 Branch Studio’s approach used joinery insertions to divide and define space, and a ceiling treatment for continuity, acoustics and zoning. 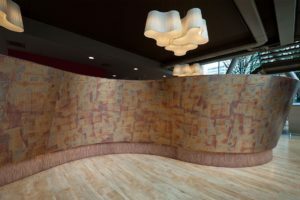 “We liked the idea of the ceiling being a landscape of sorts,” says Brad Wray of Branch Studio Architects, so the design team researched the history of the ceiling as a decorative and architectural element, including the frescoes of Sistine Chapel in Vatican City and opulent wood inlay of Scuola Grande di san Marco in Venice. 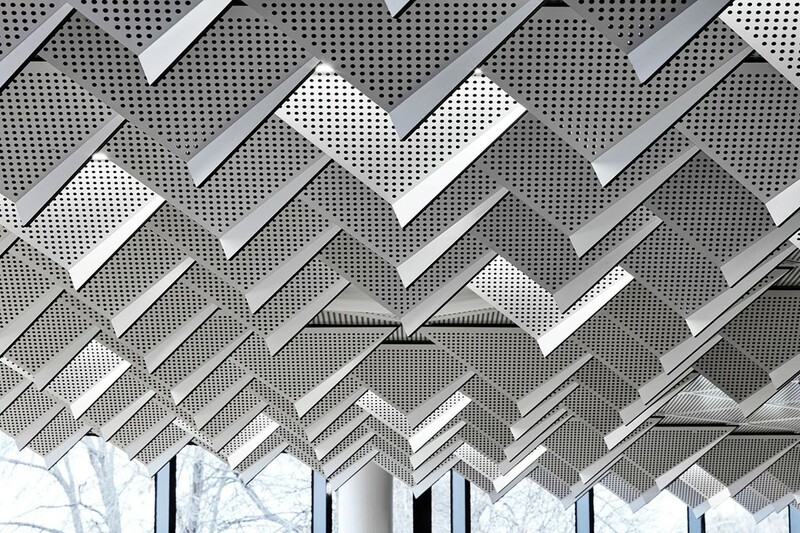 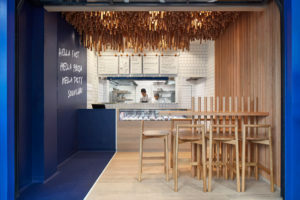 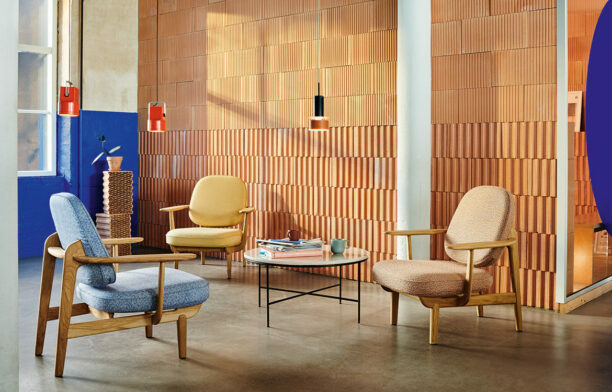 Following this line of thinking, Branch Studio designed the ceiling panels to serve a decorative, pragmatic and acoustic purpose. 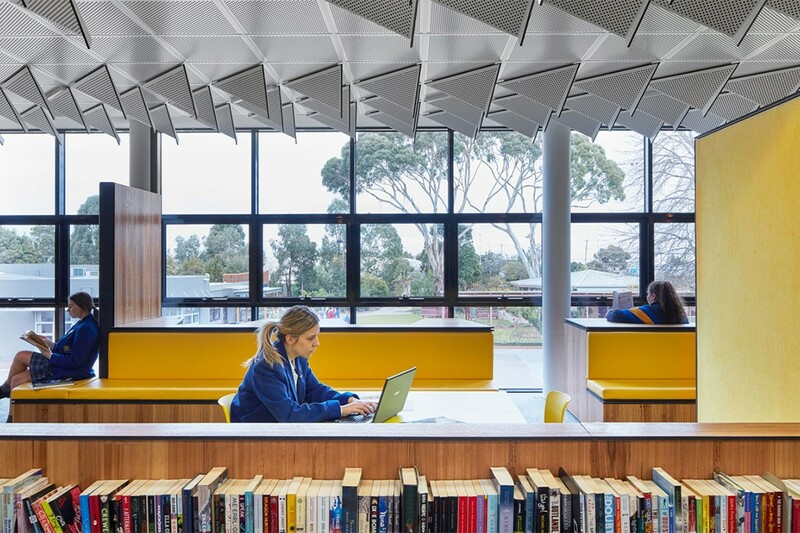 The descending triangular panels define key functional areas of the library, while flat panels identify circulation zones. 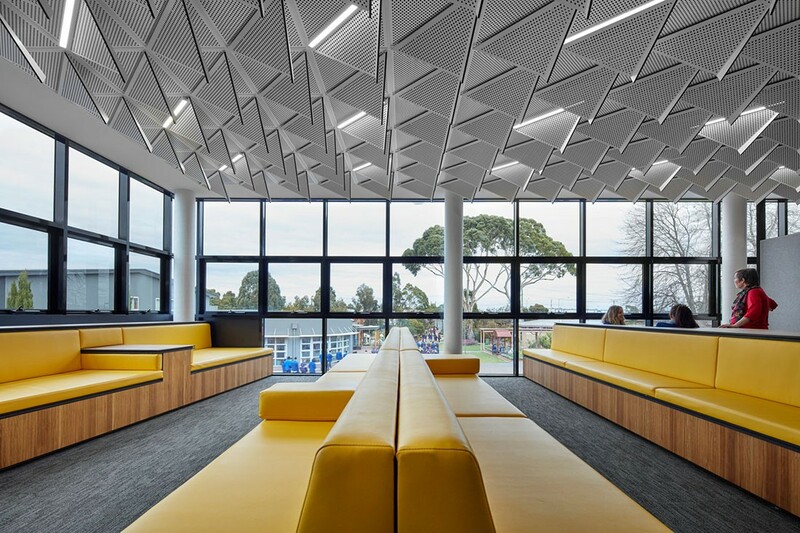 Lighting battens are integrated diagonally within the panels, and a series of pendant lights give hierarchy to areas of importance. 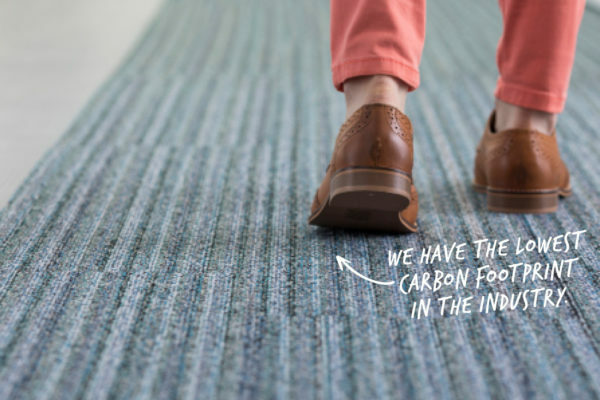 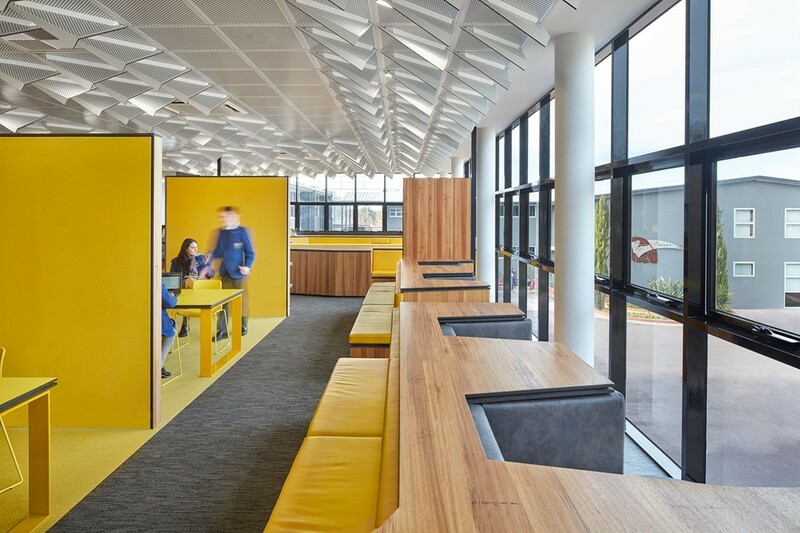 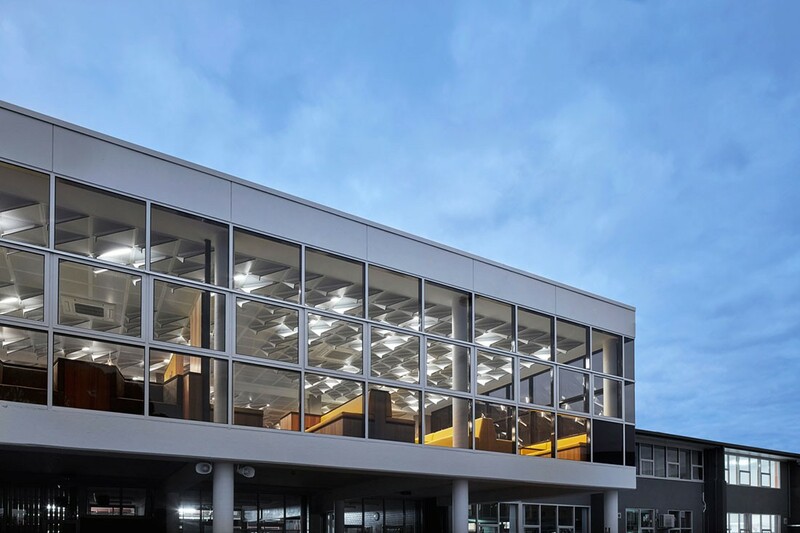 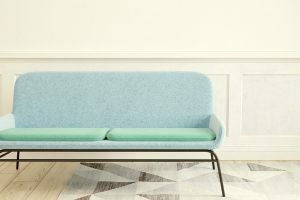 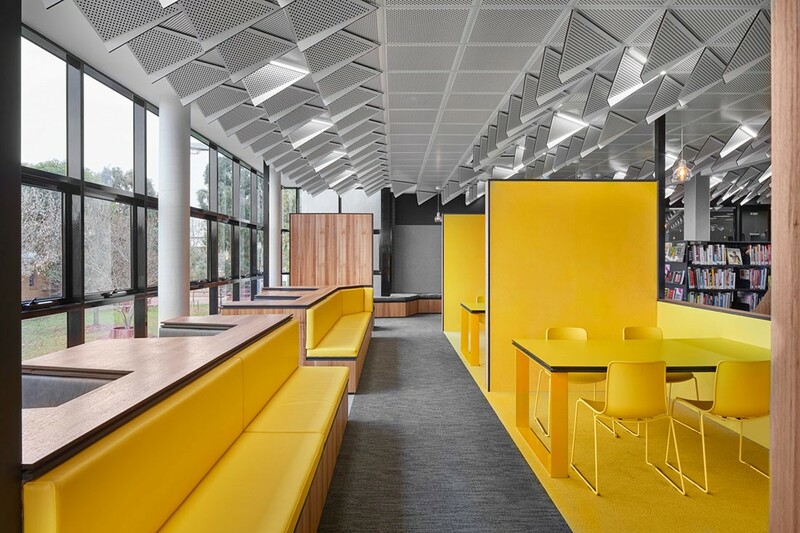 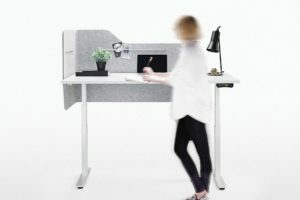 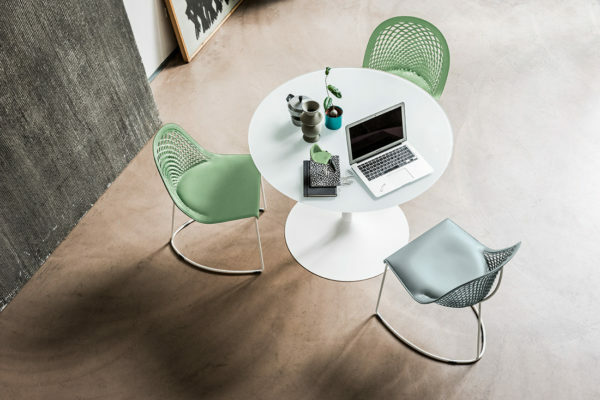 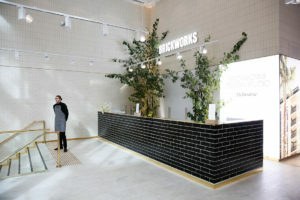 At ground level, the space is configured to maximise natural light and a passive visual connection between staff and students. 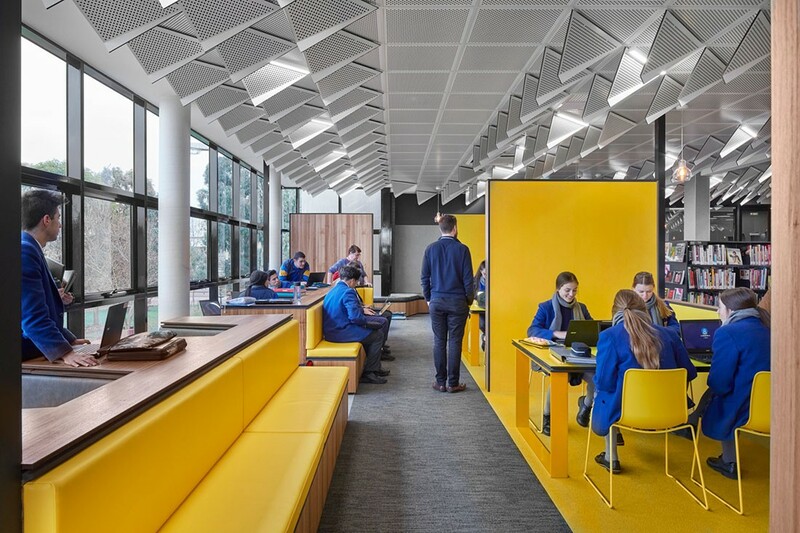 Custom joinery creates different spaces for various student needs: individual seating units, a reading lounge, group study desks, individual study booths and private corner nooks. 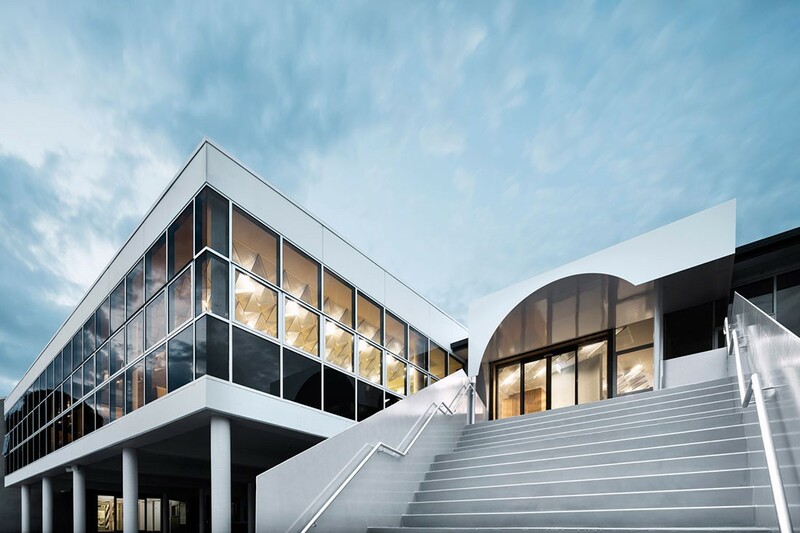 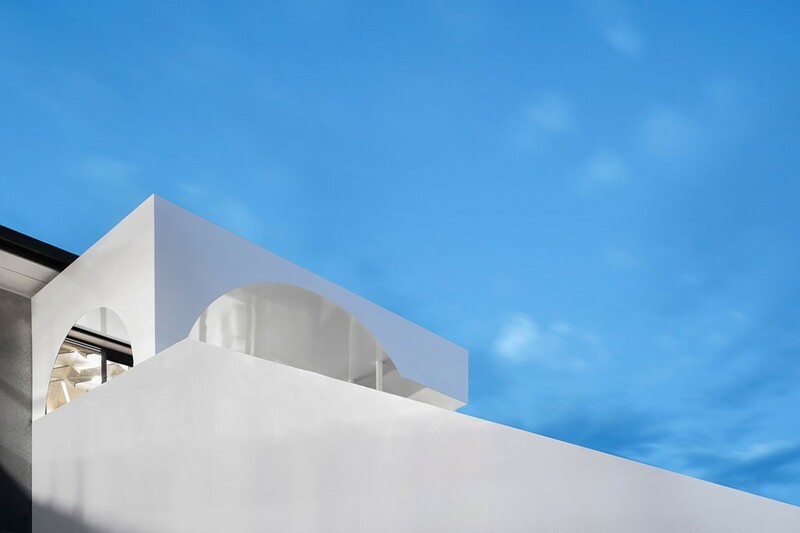 Outside, Branch Studio restored the existing shell of the building, removing ad hoc additions, applying a simple coat of white paint, and incorporating an external stair and canopy that takes its formal cues from Modernist traditions. 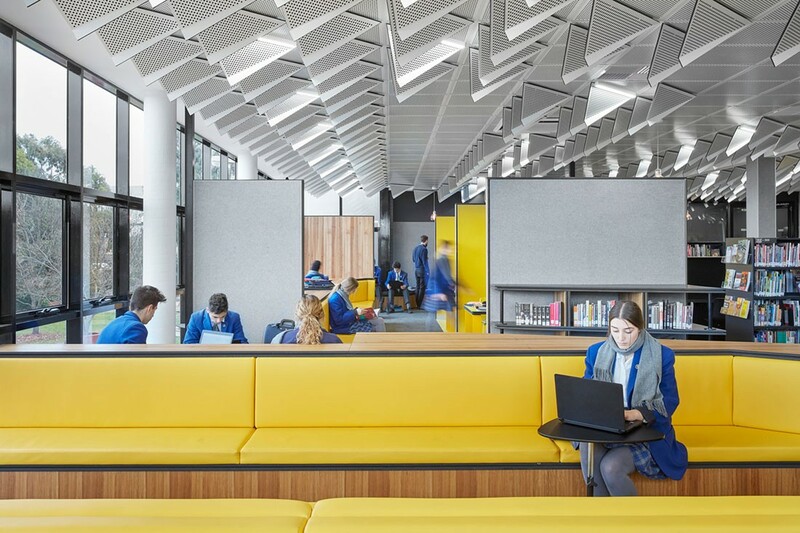 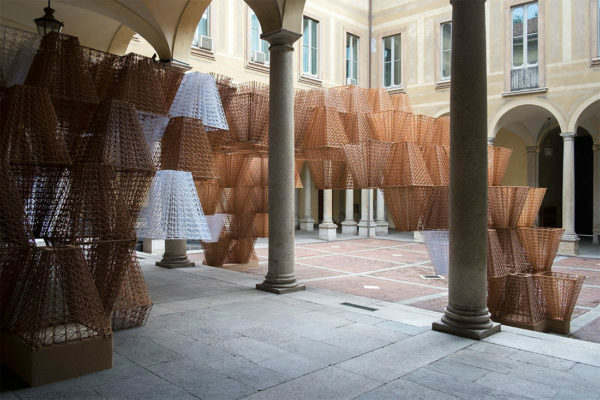 Students now have complete access to the library throughout the day, exposing them to architectural thinking that may consciously and subconsciously influence them. 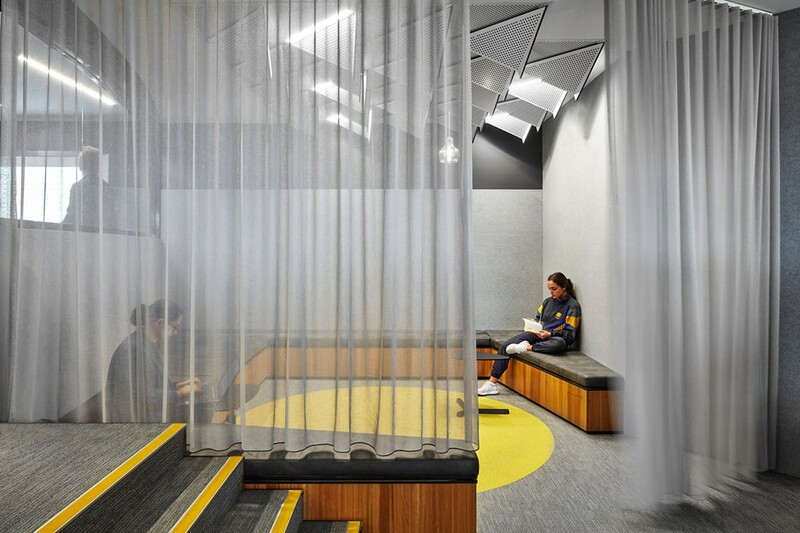 If you love a good library design, take a look at Group GSA’s North Fitzroy Community Library.